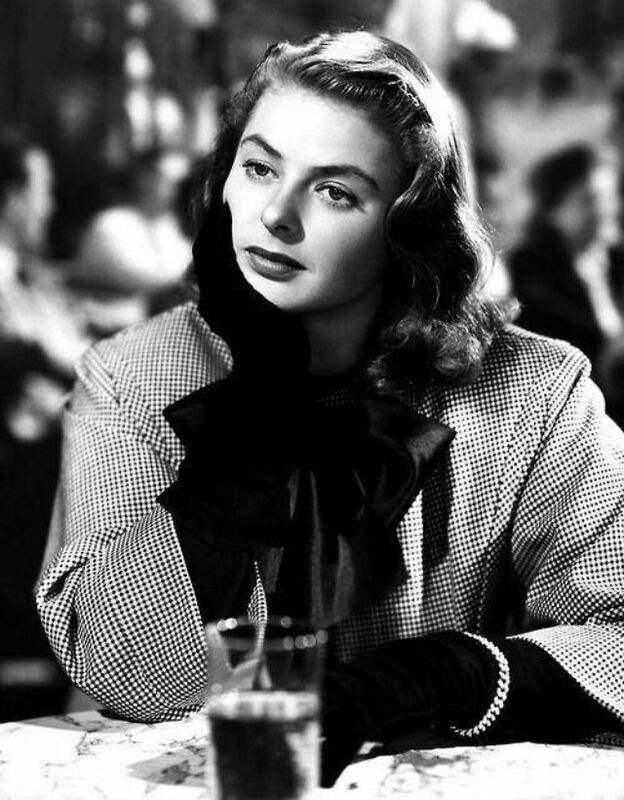 Swedish star Ingrid Bergman played the female leading role in total three of Hitchcock’s films: Spellbound (1945), Notorious (1946) and the lesser-known Under Capricorn (1949). 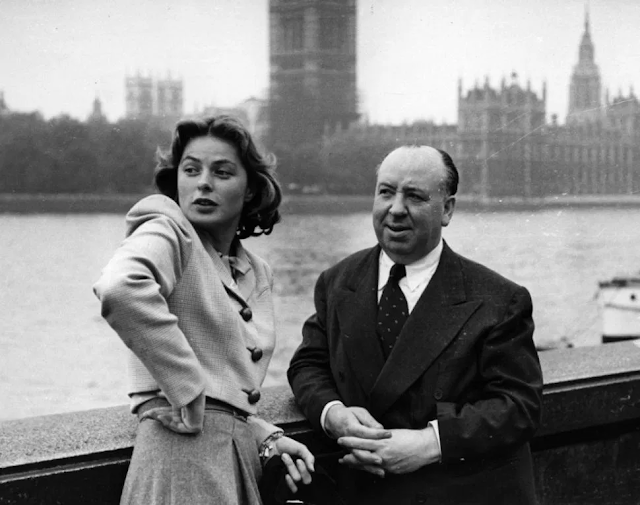 Her palpable intelligence, along with her modest manner, created a combination of restrained elegance with a simmering desire, which made her a superb candidate for Hitchcock’s ideal female protagonist. To this day Notorious still remains as one of Hitchcock’s most regarded films. Ingrid Bergman as Alicia Huberman in 'Notorious,' 1946. 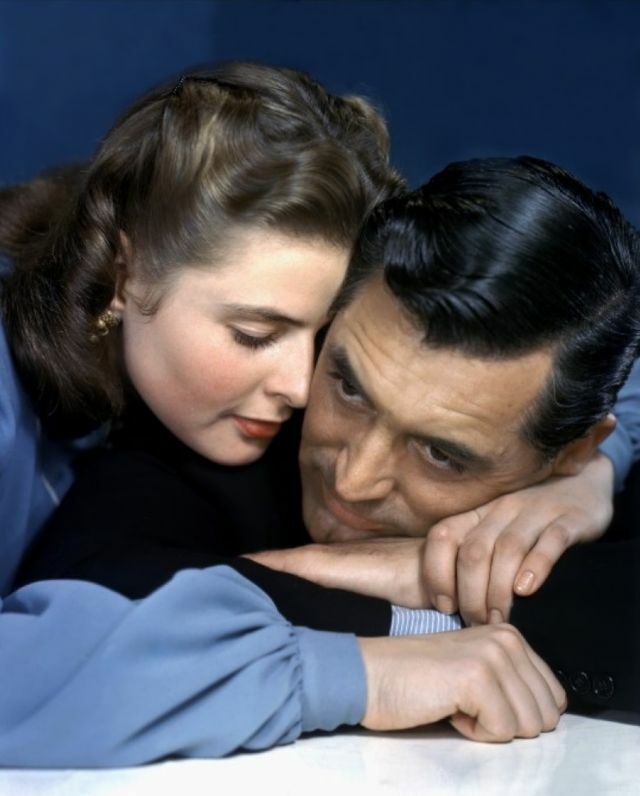 Publicity still of Ingrid Bergman and Cary Grant for 'Notorious,' 1946. Ingrid Bergman and Gregory Peck on the set of 'Spellbound,' 1945. The Princess of Monaco is considered to be the platonic ideal Hitchcock blonde, with her icy beauty and patrician features. Hitchcock himself even claimed that Kelly was the last of the classic beauties, so intoxicating that she could not ever be replicated. In three pictures that she starred, Dial M for Murder (1954), Rear Window (1954) and To Catch a Thief (1955), Kelly embodied every value of a Hitchcock blonde naturally and effortlessly: a polished exterior with steely bravery and determination underneath. Grace Kelly wearing dress designed by Edith Head in 'To Catch a Thief,' 1955. 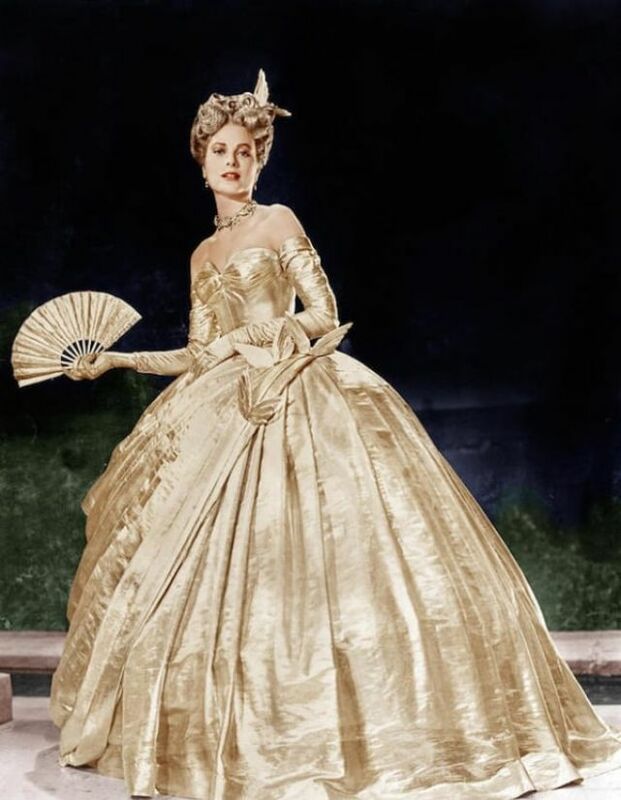 Grace Kelly wearing an evening dress in 'To Catch a Thief,' 1955. Grace Kelly and Cary Grant kissing in the front seat of a car in a publicity still for 'To Catch a Thief,' 1955. A lobby card for Alfred Hitchcock's 1954 thriller, 'Dial M for Murder,' featuring Grace Kelly. 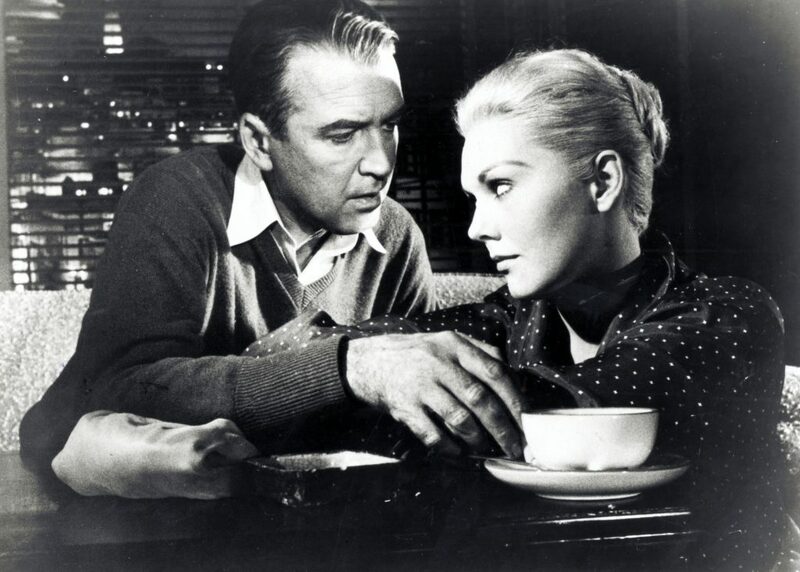 Novak’s portrayal of Madeleine in Vertigo (1958), one of Hitchcock’s most classic films, was a career highlight. Her character’s enforced makeover, according to Novak, was her own experience and opportunity to express her ambivalence towards the Hollywood system at the time. The film is believed by many to be the one that reveals the most about the private obsessions of the renowned filmmaker, that the concept of Scotty crafting Judy into his ideal Madeleine in order to fulfill his own fantasy and fetish was sort of a proxy for Hitchcock himself and his successions of Hitchcock blondes. 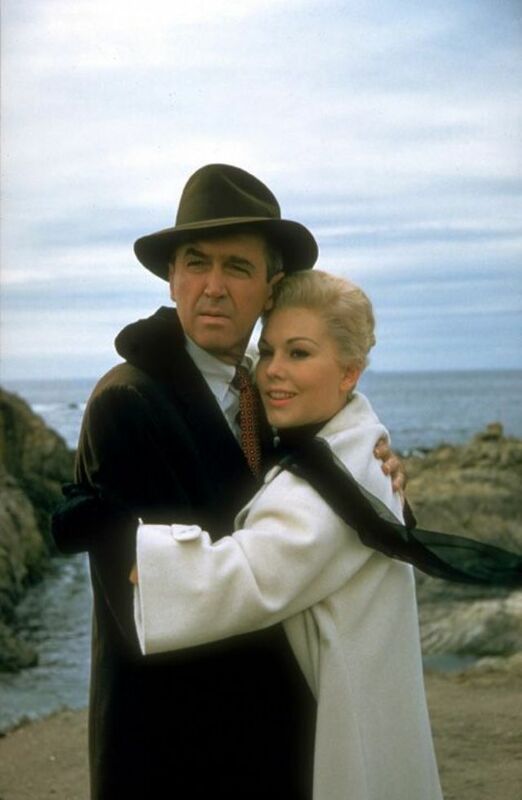 Kim Novak and James Stewart in 'Vertigo,' 1958. Kim Novak in a scene from 'Vertigo,' 1958. 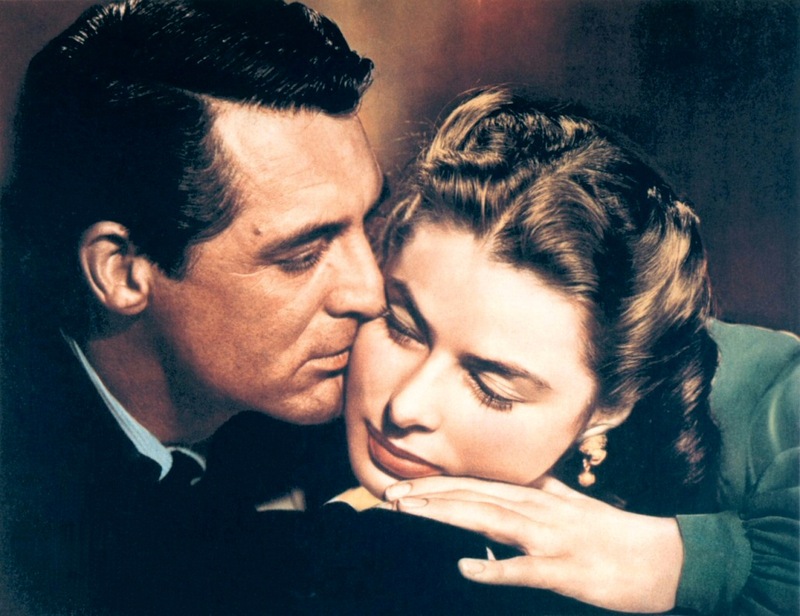 Before settling on Saint for the role of Eve Kendall in North by Northwest (1959), initially, Hitchcock briefly considered Grace Kelly and Elizabeth Taylor. 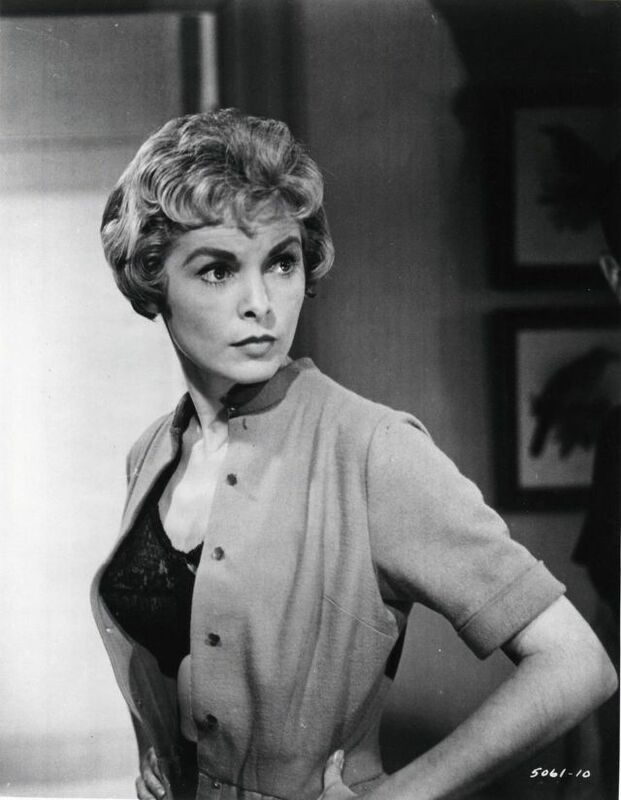 The double agent character she played effectively depicted a Hitchcock blonde’s values: cool woman with steely resolution and an underlying fire of passion. Throughout the running and chasing scenes, Saint still remained elegant and well-put together. It is North by Northwest that set the tone for numerous subsequent spy films, including the famous James Bond series. 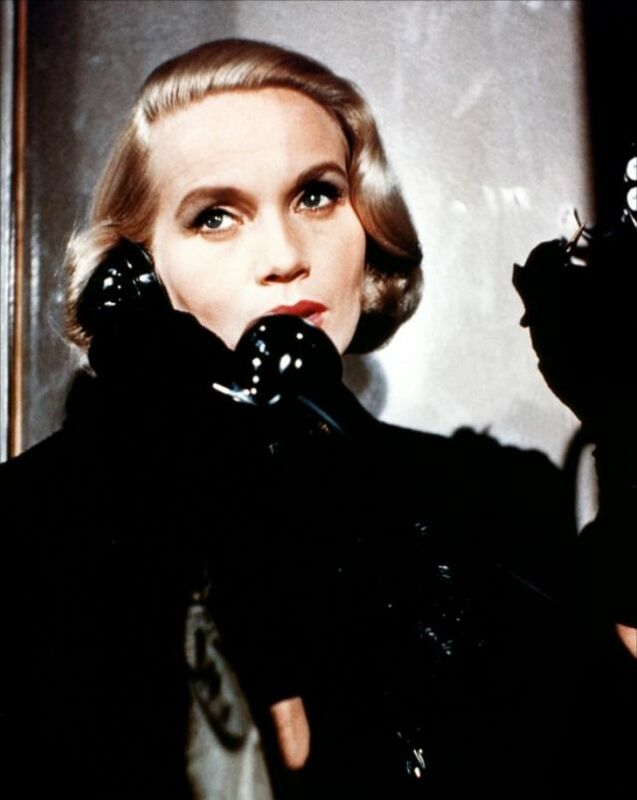 Eva Marie Saint wearing a black coat with black gloves while holding a telephone receiver in a publicity image issued for the film 'North by Northwest,' 1959. 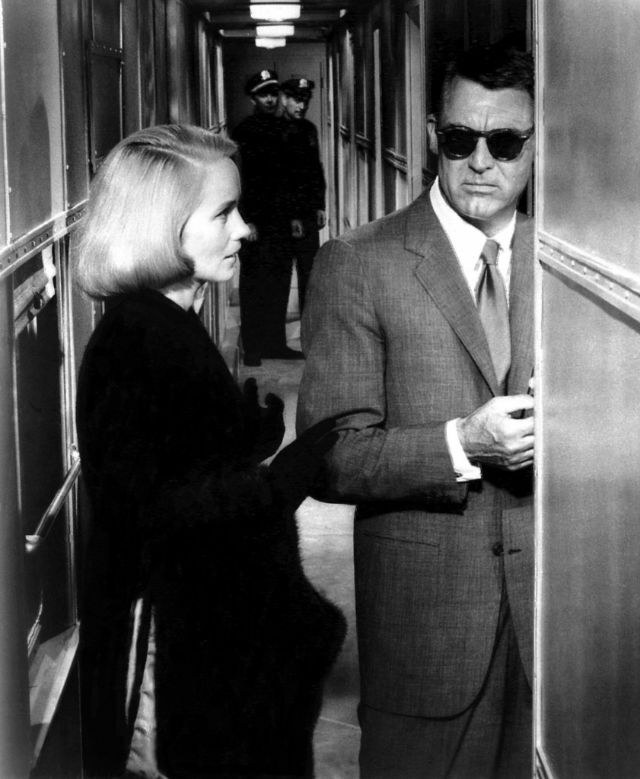 Eva Marie Saint and Cary Grant in 'North by Northwest,' 1959. 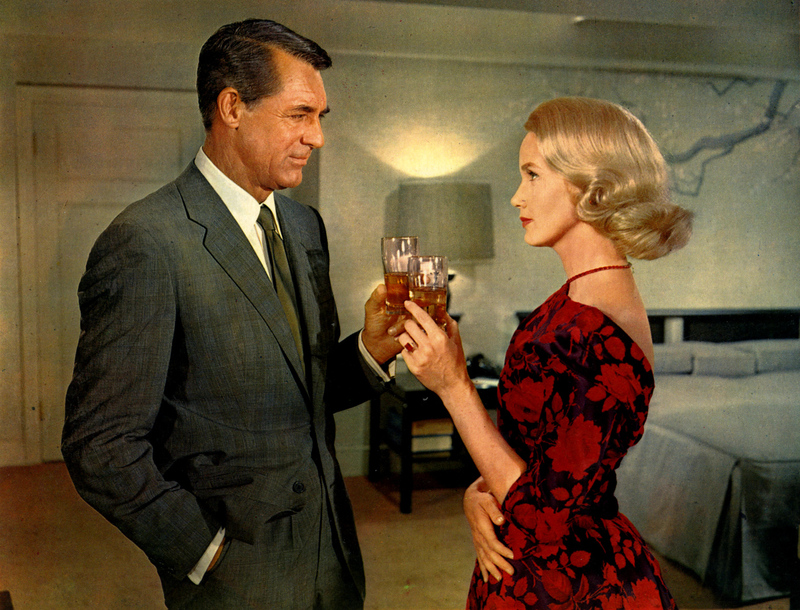 Eva Marie Saint toasting Cary Grant in a scene from the film 'North by Northwest,' 1959. Whenever mentioning the 1960 psychological horror Psycho, people often jump to the prominent shower scene, which today still remains as one of the most iconic moments in cinematic history. The film centers around a secretary stealing money from her employer and its aftermath. It could be argued that Leigh’s archetypal character faced the most punishment of Hitchcock’s paybacks. 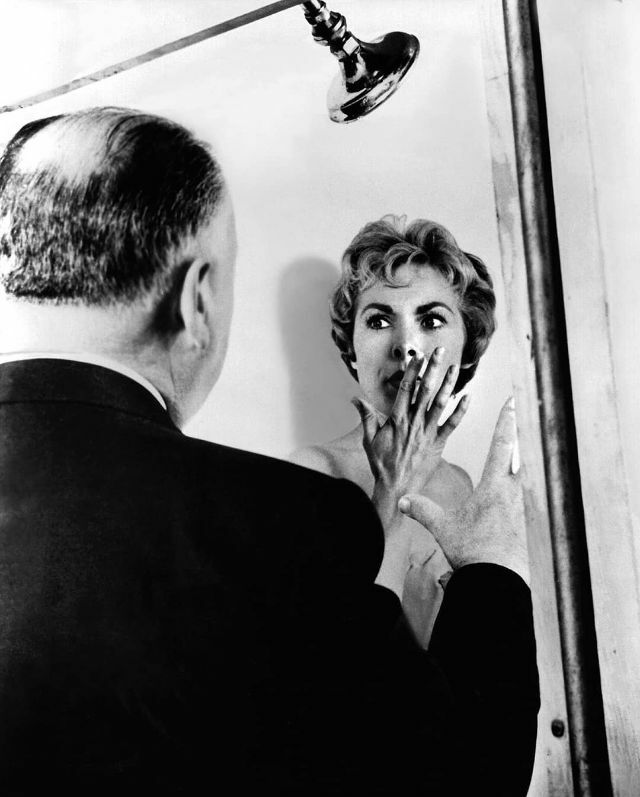 Psycho is widely believed to be the earliest example of the slasher film genre. Janet Leigh on the set of 'Psycho,' 1960. 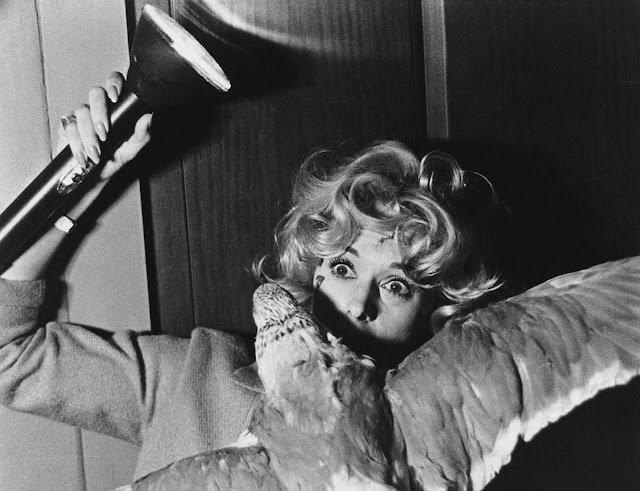 Janet Leigh and Mort Mills in a scene from the film 'Psycho,' 1960. Alfred Hitchcock and Janet Leigh on the set of 'Psycho,' 1960. 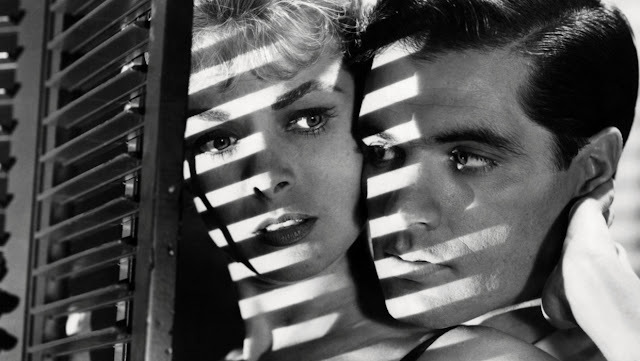 John Gavin and Janet Leigh in 'Psycho,' 1960. Hedren is considered the last of the true Hitchcock blondes and received the most abuse during the filming of The Birds (1963) and Marnie (1964). Despite the downright horrific on-set relationship between Hitchcock and Hedren, she still managed to become the exact icon for which Hitchcock’s films are well-known: meticulously dressed and self-possessed. The scenes of Hedren’s character, Melanie Daniels, in her prim and proper suit with her perfectly styled hair picked apart by crows, lie among the most distinguishable through American film history. 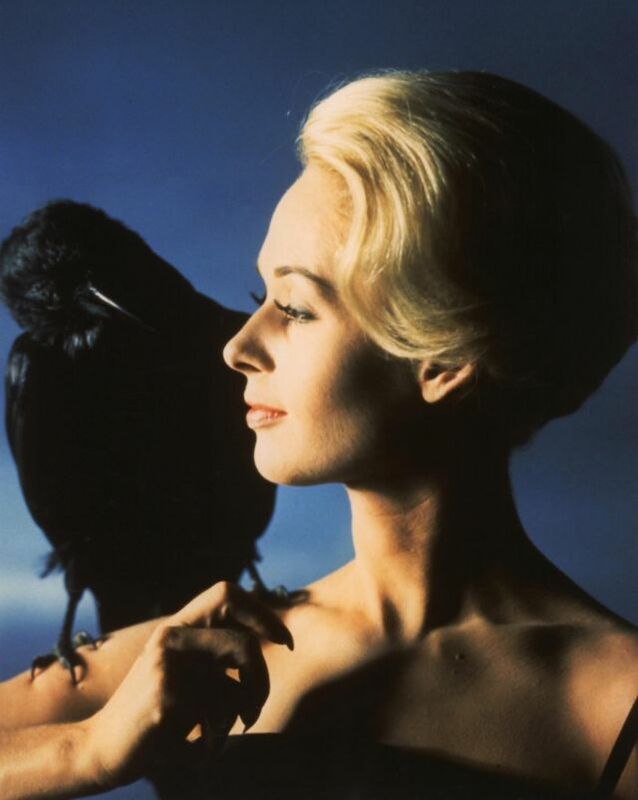 Publicity photograph for 'The Birds' featuring Tippi Hedren taken by Philippe Halsman, 1963. 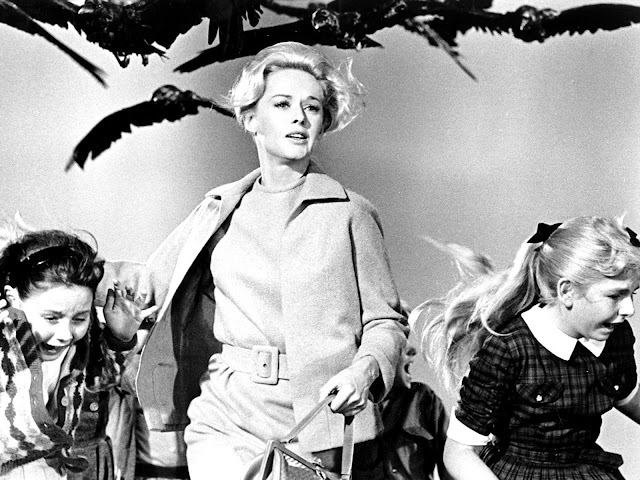 Tippi Hedren and a group of children running away from the attacking crows in a still from the film 'The Birds,' 1963. Publicity photograp for 'The Birds' featuring Tippi Hedren, 1963. 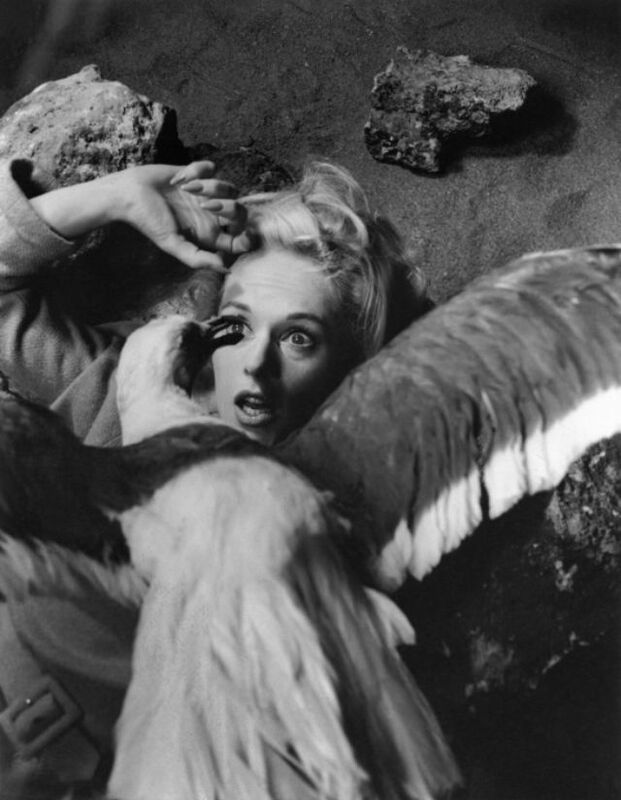 Tippi Hedren fighting off an attacking gull in 'The Birds,' 1963.